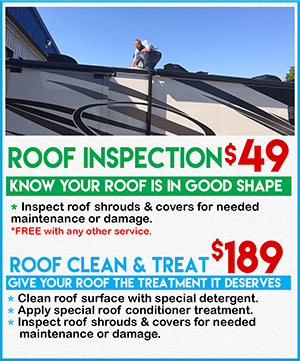 Summit RV is committed to providing quality service to our customers. Our RVIA and RVDA certified technicians have extensive and on-going training. We are authorized to perform warranty repairs on travel trailers, fifth wheels, motorhomes, campers and toy haulers from Jayco, Keystone, Coachmen and Winnebago. Summit RV is also certified to repair and install major RV appliances, awnings, satellites and more. We have 20 bays to service any RV model. Let us help you personalize your travel trailer, fifth wheel, motorhome, camper or toy hauler with a full line of items such as patio and window awnings, special suspension products, satellite systems and much more. 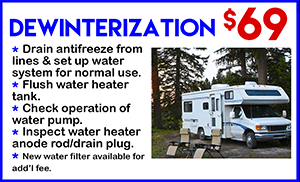 When we install your accessories at the time of your RV purchase, we can include them with your financing. Please contact our service department should you need to schedule a repair or maintenance visit. We look forward to helping you personalize your RV to make your camping experience all that it can be- because Summit RV is camping made easy. Additional services performed at your discretion based on results of inspections and checks will be an extra charge.